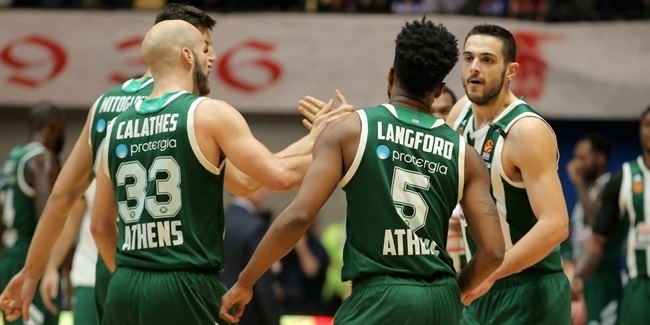 Welcome back to the Experts Round Table, where we ask a variety of the most-knowledgeable Turkish Airlines EuroLeague followers across the continent their opinions on the topics of the day. This week's panel includes Euroleague Basketball Legend Theodoros Papaloukas; Luca Chiabotti, the former basketball expert-in-residence at La Gazzetta dello Sport in Italy; Gokhan German, basketball writer and columnist for Fanatik sports newspaper in Turkey; Bugra Uzar of Eurohoops Turkey; and Javier Gancedo, EuroLeague Fantasy Challenge guru and Editorial Senior Manager for EuroLeague.net. Check out their opinions on three key questions before Round 6 of the regular season. 1. Which team will stay unbeaten longer, CSKA Moscow or Real Madrid? It's very difficult to make a prediction. In such a competitive league, a mediocre night can bring on a defeat in any game. If we assume that, until Round 10 when Real Madrid and CSKA Moscow will meet for the first time this season in Madrid, one of the two teams will have maintained their unbeaten record, I'm going to bet on CSKA. Simply because, until then, they only have one difficult game on their schedule, against AX Armani Exchange Olimpia Milan tonight, while Madrid plays in Israel against Maccabi FOX Tel Aviv on the same day and also have the away game against Olympiacos Piraeus in Round 9, before the Real Madrid-CSKA confrontation on November 29. 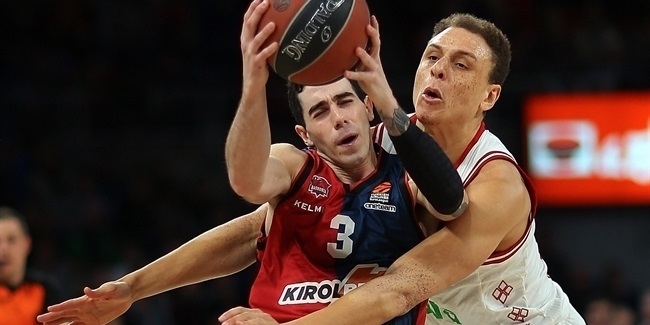 I say CSKA despite the fact that tonight the team from Moscow will face Armani in Milan, one of the best teams at the start of this EuroLeague season. CSKA has a nice schedule until the big clash with Madrid in Round 10. Real has had a couple of slow starts on the road in Milan and Kaunas and that could be dangerous because it's hard to win every game with big comebacks (and its next opponent, Maccabi, has to win its home games: Tel Aviv will play six of its first eight games on the road). So I say CSKA, but the game in Milan will be the toughest of the next four. Today's games are very crucial for both teams. İ think both of them will lose today. But if I had to choose one team it would be Real Madrid. CSKA's schedule is a little bit harder. Real Madrid. Both Madrid and CSKA Moscow started the season in the best possible way. Even though both teams have had a relatively tough schedule, they managed to stay undefeated. I was more surprised at Madrid than CSKA because, after losing a major player like Luka Doncic, I expected them to be a bit confused. However, the Madridistas have played great basketball under the leadership of their star players, who know the competition very well. Many different players have contributed in every game. This makes them a difficult team to stop. Plus, I think Madrid has an easier schedule than CSKA. So, that's why I picked them. 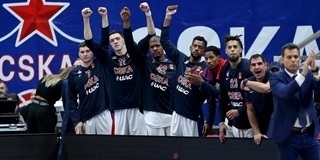 I would say CSKA Moscow for two reasons. 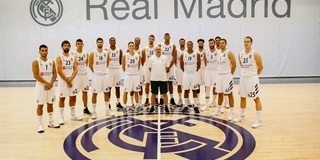 First, Real Madrid has a tougher schedule, visiting Maccabi FOX Tel Aviv and Olympiacos Piraeus. Second, even though CSKA will play five of the next six games on the road, it has found ways to win games without playing too well. 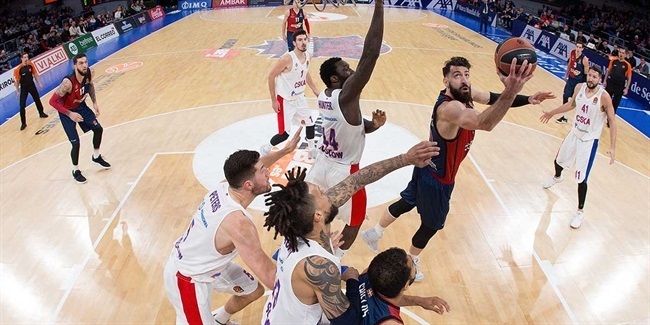 Things did not go well for CSKA against Darussafaka and Olympiacos, but the Russian powerhouse found ways to win. That mental strength and ability to win at all rhythms should keep them undefeated for some time. If both arrive undefeated to their showdown in the Spanish capital in Round 10, however, I think Madrid will win. 2. Who is your favorite EuroLeague rookie after five games? With great joy, I’m selecting Kyle Kuric as my favorite so far. He has shown great bravery with the health problem he faced, he overcame it and, since healthy, he has been constantly evolving and improving his game. And so, the reward came with a transfer to FC Barcelona Lassa at age 29. In a club with high demands, it looks like he's adjusting quickly and contributing consistently on a squad that still hasn't found its chemistry and cohesion. In the first five games, he has scored an average of 11.6 points with amazing percentages (63.6% in two-point shooting, 44.8% in three-point shooting) and he has earned the trust of a demanding coach, Svetislav Pesic, as he leads in terms of playing time (24 minutes) together with Chris Singleton. Respect! The 2018-19 class of EuroLeague rookies it is not as rich as in the past and in the first five games, nobody has really left his mark on the competition. My choice goes to two players: Kyle Kuric of Barcelona Lassa, because he is a solid team player who knows how to be efficient despite the fact that the team offense doesn't have a lot of solutions for him, and Jordan Mickeyof Khimki. He is talented and young and playing outside the USA for the first time, but has been very impressive, especially in the game that he played in Milan. Devin Booker (FC Bayern Munich), Angelo Caloiaro (Maccabi FOX Tel Aviv) and Michael Eric (Darussafaka Tekfen Istanbul) have done great jobs as rookie players, but I think Tarick Black has been the most effective player. Although Maccabi has won only one game so far, Black has averaged 12.3 points and a 14.5 performance index rating. Rookie centers usually have difficulties in adapting to EuroLeague basketball, but Black plays like an experienced player. Michael Eric. The Nigerian center is one of the few players that stayed with the Darussafaka Tekfen Istanbul team that won the 7DAYS EuroCup championship last season. And with each game, he is proving that he is ready to play at this high level of basketball. He is an excellent defender, plus a great rebounder and one of the most athletic big men in the league. His offense still needs some work, but he's still a really good pick-and-roll finisher. Darussafaka is really lucky to have him and I believe we'll be hearing his name even more in the future. 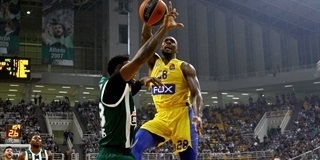 Tarik Black of Maccabi FOX Tel Aviv. This is his first season in European basketball - he had only played in the United States before, but Black has adjusted pretty well. He has been very solid, averaging 12.3 points on 68.8% two-point shooting (sixth overall) and 5.5 rebounds for a performance index rating of 14.5 on average. Strong and powerful, it looks like Black will keep improving as the season goes on, too. Great move by Maccabi! 3. Who is the most surprising EuroLeague veteran so far? Since the question concerns the veteran that has surprised me the most, I'm going to give the credit to Anthony Randolph. We all know what a quality player he is. But, here, we're talking about an amazing start to the season! He gets the most playing time on a team that is complete, he's the top scorer with 15.8 points (along with 4.6 rebounds, 1.2 steals and a PIR of 17.6), he has been shooting 52% both on two-point shots as well as three-pointers, he has scored in double digits in all five games and he does many more things on the court. What's impressive, then, is his consistency with very high levels of performance and on a great team with so many "killers" on its roster. A lot of veteran players are playing very well so it’s hard to choose one... My vote goes to Facundo Campazzo because he was the key factor in two Real Madrid victories on the road, in Milan and Kaunas. Against Milan, Facu played a stellar game and in Kaunas his plus-minus was extraordinary: he came into the game with Real 14 points down and took his team to within 1; then, in the second half did the same thing (from -6 to +11 and the victory). Campazzo isn't young, but he is improving his game (he is shooting 50% on three-pointers), especially under pressure. I like to see him as a Kostas Sloukas type of winner. 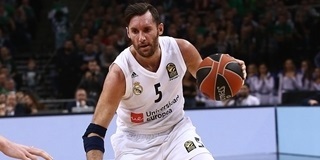 I think Rudy Fernandez. He is playing much better than in the last two years. He is 34 years old, but is playing on average 20 minutes, scoring 10 points and delivering 3.6 assists. Also, he helped Madrid with his experience to win road games at Zalgiris and Milan. He was the key factor in those crucial victories. Rudy Fernandez. He has been one of Madrid's stars for a long time and looks to be reborn this season. His talent and quality were never a matter of debate, but it's a fact he has slowed down after a series of injuries in recent years. But that hasn't been the case this season. Fernandez has been lethal from the three-point line so far and has become one of his team's most important offensive weapons. The fact that he improved his performance even more in crucial games played an important role in my choosing him. Watching him and Sergio Lull play in the backcourt is pure joy! Adrien Moerman of Anadolu Efes Istanbul. Efes is his sixth EuroLeague team in as many seasons in the competition and Moerman has never played better. He has Coach Ergin Ataman's full confidence; Moerman has played over 30 minutes in each of the last four games. He is posting really solid numbers, averaging 15 points on 65.8% two-point shooting, 6.4 rebounds and 1.6 steals. His PIR average of 18.6 ranks him fifth in the league. 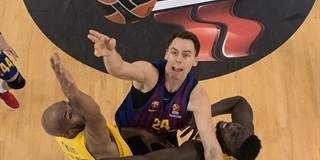 Moerman averaged a PIR of 8.3 with Barcelona last season.